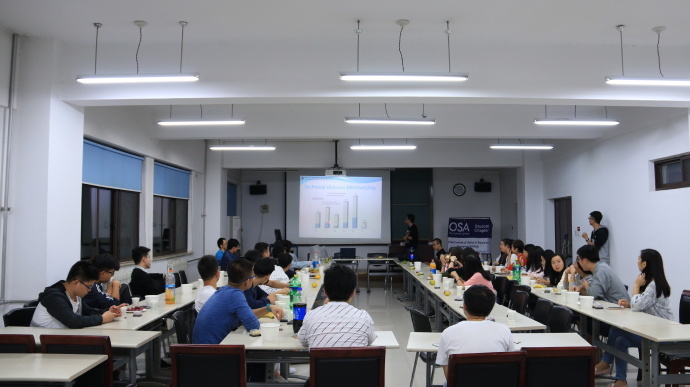 On 28th, September, one week before the mid-autumn festival, the student chapter invited Mr Wen Sun of the graduate faculty, An Pan, former president of the student chapter and Quanlong He, former president of department of academy of the student chapter to give lectures about the research work on the activity of “Tea Party”. 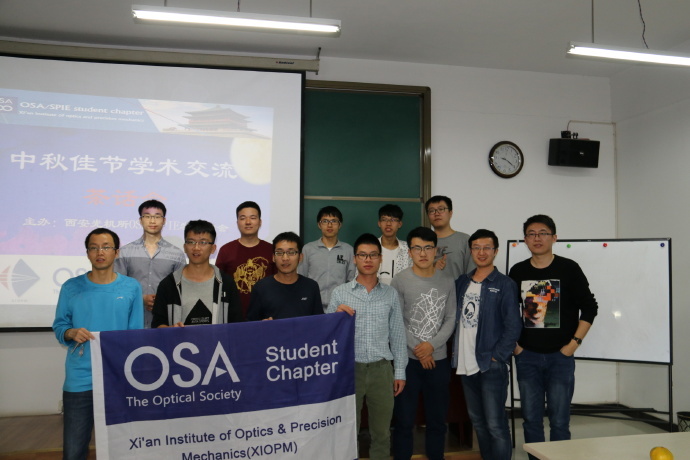 The opening atmosphere and rich contents attracted many students to listen and discuss about the lecture. Mr Sun gave opening remarks to the students. 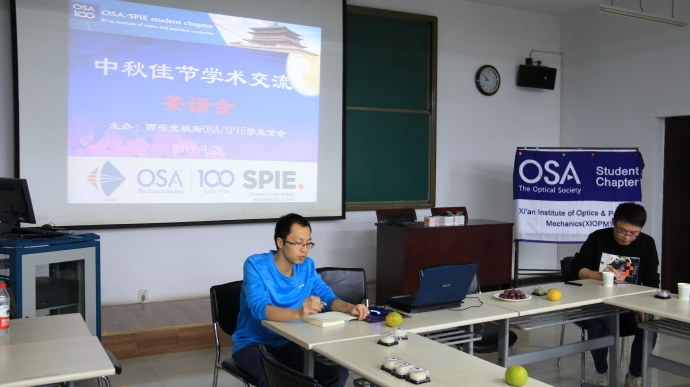 An Pan shared the experience on the paper publications, the classifications of SCI journals and his own interesting stories on the research work. Quanlong He briefly introduce his life in his first 3 years in the institute. The younger students communicate with these two mentors about the research, going abroad and so on. The activity gave the freshmen a golden opportunity to solve the puzzles from research or life,more activities like this will be held in the near future. Wish everybody have a nice mid-autumn day!